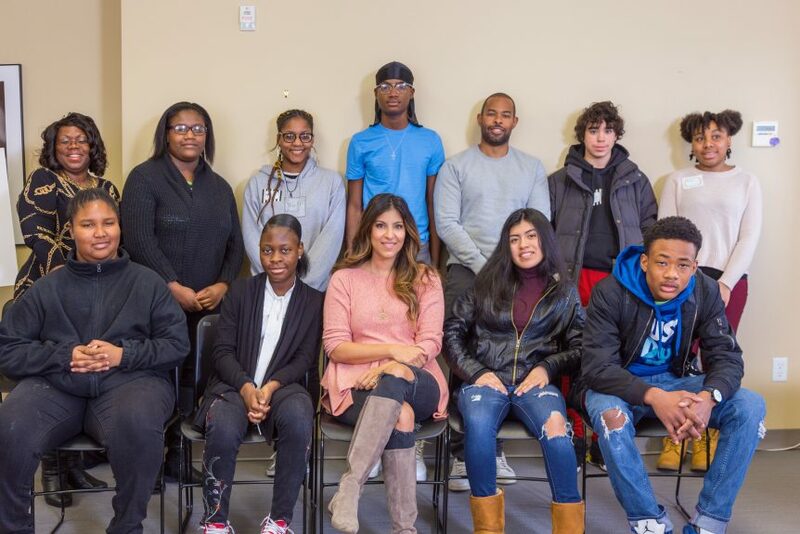 On Friday, April 6th, Family Center teens sacrificed their last day of spring break to learn more about how to develop and achieve their goals in life. 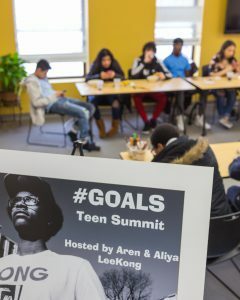 Hosted by 2018 Harvest Ball Honoree Aren LeeKong and his wife Aliya, #Goals was a day filled with thoughtful conversations, moving testimonials by a variety of speakers and activities to help teens formulate their goals. First, teens heard from two gentlemen who helped found H.O.L.L.A. or How Our Lives Link Altogether, which encourages youth activism. Aren and Aliya spoke next in small groups which allowed teens to ask some serious questions about how to overcome obstacles and achieve goals in the face of adversity. After lunch, teens heard from a panel of former Family Center youth who are now in college. The panel was led by Shauna, the visionary volunteer who founded the Yellow Rose Prom Project at The Family Center. Shauna wrapped up the day by leading teens through a vision boarding exercise. Many teens even stayed late to finish their vision boards! The Family Center is delighted to report that many parents and caregivers of teens have said that the vision boards are proudly displayed in our teens’ bedrooms. We hope that our inspiring speakers motivated our teens to dream, plan and achieve!